ALZip, designed by ESTsoft Corp, is a powerful, simple-to-use file compression application which able to pack and unpack 40 different compression file and archiving file formats, including ZIP, EGG, ALZ, TAR, TBZ, TGZ, LZH and JAR. It able to uncompress and extract other file formats such as 7Z, RAR, TAR, ACE, ARC, ARJ, BIN, BZ, CAB, GZ, ICE, IMG, NRG, ISO, and etc. According to the company, ALZip’s own EGG compression format that provides better compression ratios and supports Unicode is functional in the newest ALZip version 8.0. ALZip normally costs $29.95 for purchase. To celebrate the new release of ALZip 8.0 beta 1, ESTsoft is holding a promotion event to give away a license serial key of ALZip 8.x official version (when the final build of ALZip 8.0 is released) to the interested users. 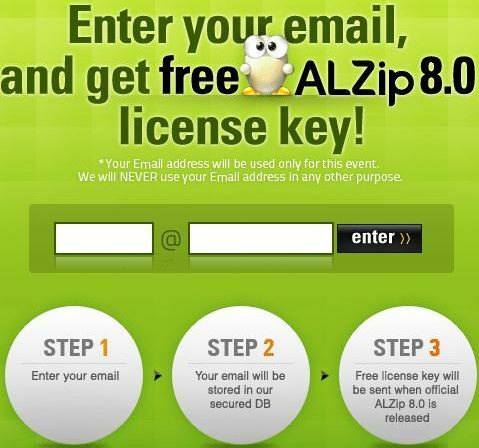 To grab a free license code of ALZip 8.x, you just need to visit the promotion page at http://www.altools.com/ALTools/ALZip/free-alzip-license.aspx, and submit your email address. An email which contains the free license key will be delivered to your email Inbox when the ALZip 8.0 final version is launched. ALZip 8.0 is fully compatible with Windows XP, 2000, Vista (32/64bit) and Windows 7 (32/64bit) operating systems.